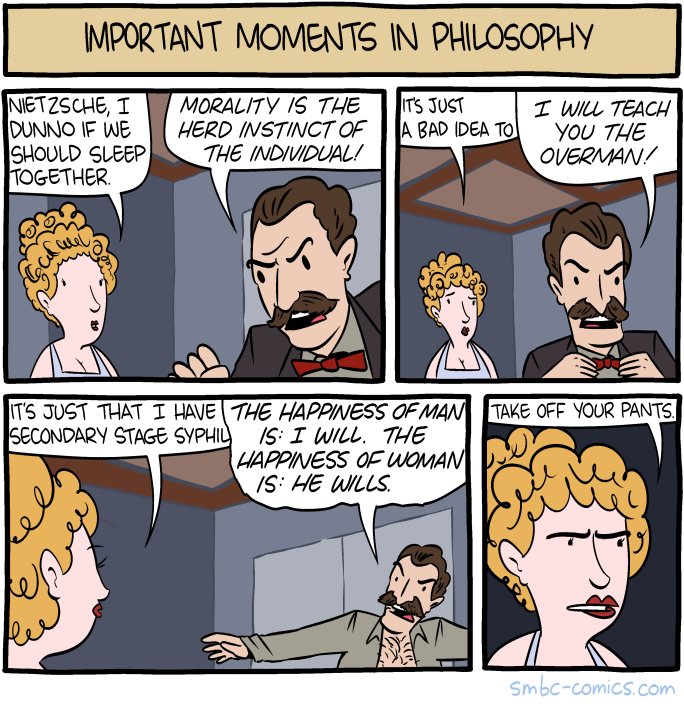 A Saturday Morning Breakfast Cereal comic , 22nd of March 2017, on Frederick Nietzche. Found it after watching a documentary on Friedrich Nietzsche, by Bettany Hughes, published October 2016. 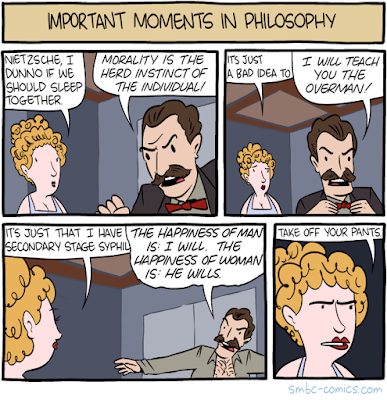 The documentary suggests that one of the reasons Nietzche did not publish a follow up to his books was that he was aware that his books led to conclusions that were problematic, to quote "recognized the flaw in his reasoning" (Hughes 2016). Also details the ways his work was used to legitimate ideological and political objectives of the German National Socialist Party during the 1930's & 1940's.